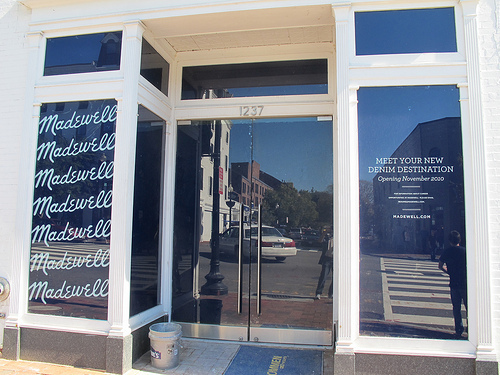 Just noticed a sign up for Madewell Denim coming to 2137 Wisconsin Ave, NW (the old Puma Store) in November. Apparently they have stores all over the US. Any fans? The 5pm Post – Fight Breast Cancer Happy Hour Fund Raiser This Wed.